In July of 2017 I travelled to Cape Town, South Africa to stay with my uncle & aunty for a few months. While in SA I tried new things, had many fantastic experiences and of course took a lot of photographs. The original reason for me venturing to SA was to expand my photography portfolio and see my family for a few weeks but my uncle was very generous with how long he let me stay with him. My first night in Cape Town I hit the town with my cousin, we went to a few clubs and she showed me the Captionian night life! My first day in Cape Town we climbed Lions Head. The sister to Table Mountain, Lion's Head peaks at 669 meters above sea level and provides some of the best views of Cape Town. While climbing this gorgeous mountain I filmed a video of our assent and captured the stunning views that Lions Head has t offer. We climbed the mountain pretty quickly, however there were locals who run up the mountain every day for exercise who put our time to shame. Lions Head is one of the crown jewels of Cape Town and can be seen from thousands of different angels, providing a beautiful naturalistic background to the cityscape. Bo Kaap is a former township in Cape Town, previosly known as the Malay Quater. 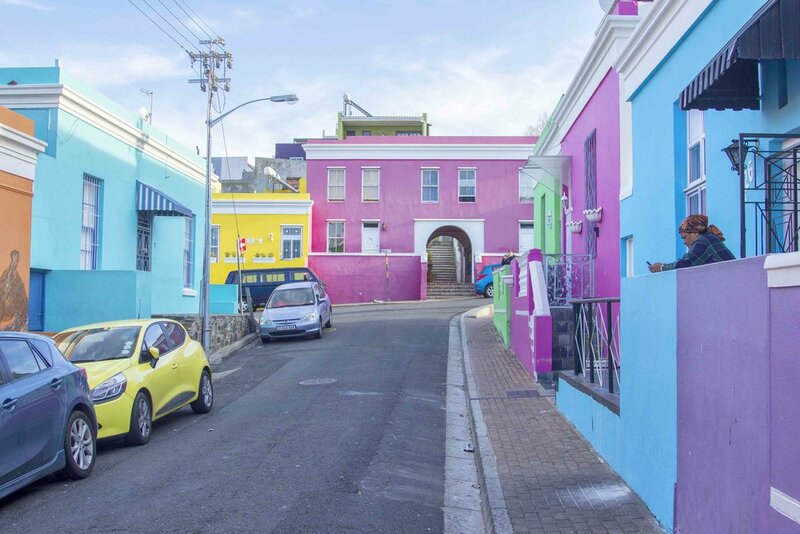 Bo Kaap is best known for it's colourful houses, friendly residents and cobblestone streets. It's positioned on the slopes of signal hill. While staying in Cape Town I frequently visited Bo Kapp to photograph the colourful buildings and meet with the locals. On one trip I befriended some of the local kids who let photograph their shenanigans and games. I remember that day so vividly, they were so happy! Which is something I've found a lot of on my travels, it's the children who are outside more exerpeincing life who are the happiest. The photos I took that day turned out to be some of my favorite that I captured while out in SA and many were added to my portfolio. My favorite things to photograph are people and places that are genuine and these kids were as genuine as it gets. 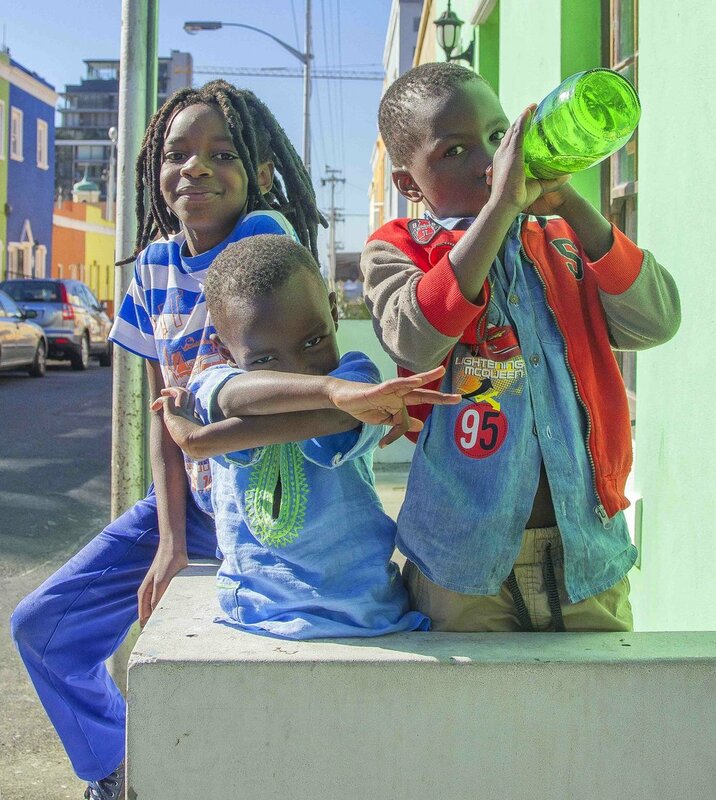 After photographing and talking to the kids for a few hours I gave them a few Rand to go and get some sweets. They were so thankful and joyful. It was a fantastic day! Another popular pass time of mine while I stayed in SA was to walk down to the promenade and photograph, exercise or just take in the beauty of the sea. 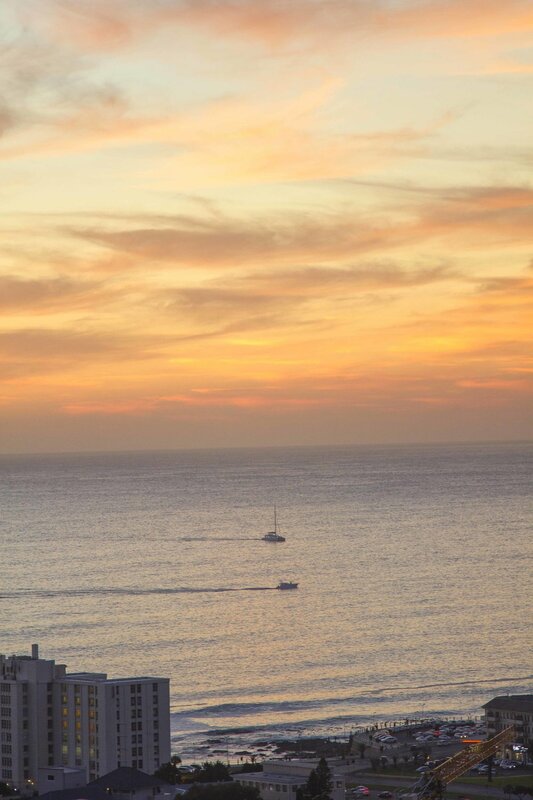 When I think of Cape Town, the Sea and the sunsets are something that resonate in my mind. 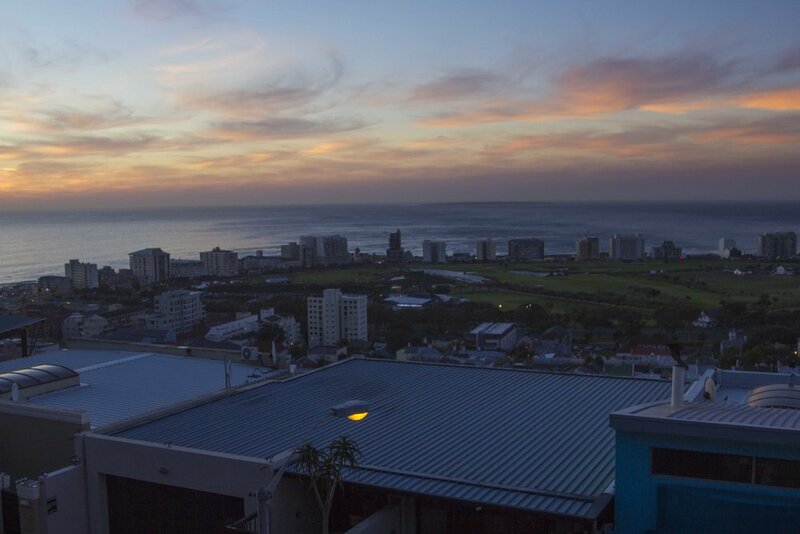 The vast never ending ocean is always the perfect partner for the warm romantic sunsets of SA. Spending a lot of time at the promenade, I would see the same runners most nights and started to make friends with them. Cape Town is a fantastic place to meet new people from all walks of life. 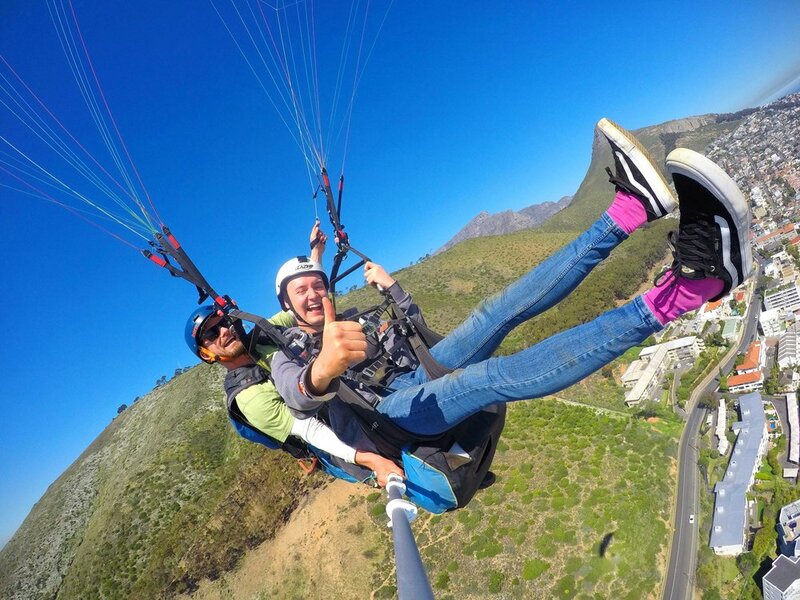 Being the adventous spirit that I am, I also decided to go paragliding from the top of signal hill. However the first time that I attempted this, the wind took us and dragged myself and the instructor along the floor. This was a scary experience and certainly got the adrenalin pumping. Our second attempt was more successful with us taking flight almost immediatley. It was a fantastic experience and one that I would certainly reccommend if you ever go to cape town. Something else that is a must try in Cape Town is the sushi, being right next to the Atlantic Ocean. The sushi in Cape Town is both fresh and delicious. Another big bonus is that depending on where you go the sushi is very cheap for the love and care that is put into each piece. In my opinion, sushi is a must when ever you are in Cape Town.